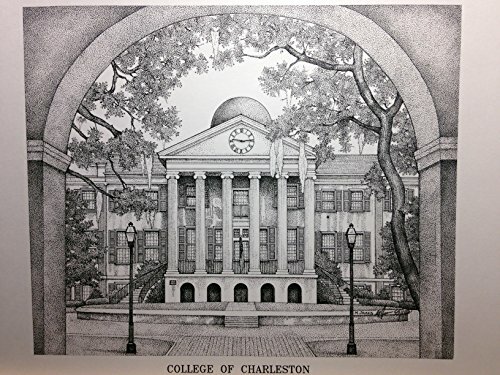 Limited Edition pen and ink print from hand-drawn original of Randolph Hall at the College of Charleston. This scene looking through the Porters Lodge, shows the cistern and the side of the building that holds May graduations. It is from a series of only 100 prints and is signed and numbered. Your purchase includes print, foam-core backing, and about-the-artist flyer within an acid-free packaging.